One of the things I like about reading ancient texts is the really old names for locations, things not used any longer. Robert Howard got a lot of mileage out of that by using these names for his settings for the Conan books. Instead of southern Russia, you have Scythia. Instead of Turkey you have Asia Minor, and so on. Names like Cappadocia, Cilicia, Kush, Abyssinia, Persia, Thracia, and Babylon all capture my imagination. When you look back at most of these, they're either gone or have changed their names. Cilicia is now called Armenia, but countries like Babylon and Sumeria are just gone. Some, like Egypt, have lasted for millennia, always the same basic area, same basic name. They're so old their language is unrecognizable today compared to the ancient tongue but they've been the same country for four thousand years or more. I look at my house and see that, built in 1919, its pretty old but well made. They don't build like this any more. But then, when I traveled to South Carolina and saw houses made in the 18th century, it seems young. And you go to Europe where homes were built in 800 or so, you have to rethink your entire idea of old. But some places are so ancient it boggles the mind. And some of these incredibly ancient places are still inhabited, cities that have never been abandoned and have roots pushing back to old testament BC days. Damascus, for example. It wasn't officially a city until around 2000 BC but people have lived there for much longer. People have been living where Damascus now stands for twelve thousand years according to archaeologists. Then there's Jericho, a city well known to people because of the book of Joshua in the Bible and a Sunday School song. 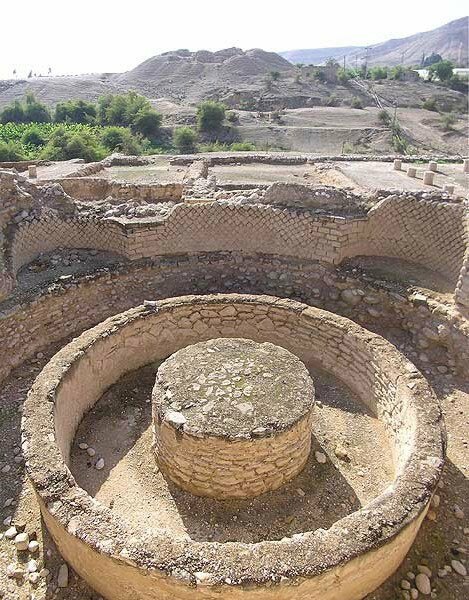 Although destroyed by the Hebrews, it was continuously inhabited and has been since about 11,000 years ago, according to digs showing evidence of people in the area. Just above the Dead Sea, this is one of the lowest inhabited places on earth, showing evidence of 20 different layers of city building. Susa dates back to 8000 BC, and it was prominent in the Babylonian Empire. Now in Iraq, Susa is today called Shush, and it was where the only surviving copy of the Law of Hammurabi was found originally. There are signs of inhabitation where the city of Plovdiv Bulgaria now sits stretching back 8,000 years. The city has changed names a lot over the years, starting as Eumolpias, then Philippoupolis, then Trimontium, then Philippoupolis again, then Paldin, Filibe and finally Plovdiv today. It is the second largest city of Bulgaria. And of course, there's Jerusalem. Built on a nearly impregnable mountain top with natural springs providing water, Jerusalem was a fortress so hard to beat that it broke armies against it for thousands of years. “In the course of its history, Jerusalem has been destroyed twice, besieged 23 times, attacked 52 times, and captured and recaptured 44 times.” Wikipedia says, and the city traces back 5,000 years of history including its great significance for the three largest religions in the world: Judaism, Islam, and Christianity. Steve at Web Urbanist has a list of many more such ancient cities from Portugal to Greece to India to Mexico, and all around the world. Many of these cities have ruins or ancient buildings dating back thousands of years, which is just amazing to me. I can't help but get the same vibe as Patton in the movie of that title, looking at Greek ruins. I can almost hear that haunting, eerie music when I read about these places.